Please join us starting next week for the first in our summer elective credit class offerings. These classes are a great way to knock out an elective in a short period, working with two fabulous teachers who specialize in creating a rigorous and caring classroom with lots of 1:1 attention. Please call 402-502-8534 with questions and see our previous post for more info. Meet with a registered nurse and determine weight, height, body mass index, blood pressure, and pulse. 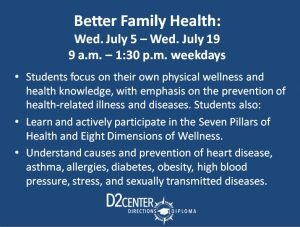 Research, discuss, and actively participate in the Seven Pillars of Health and Eight Dimensions of Wellness. Keep a food, water, and sleep journal and participate in daily exercise. Be provided and be encouraged to eat healthy snacks and more fruits and vegetables. 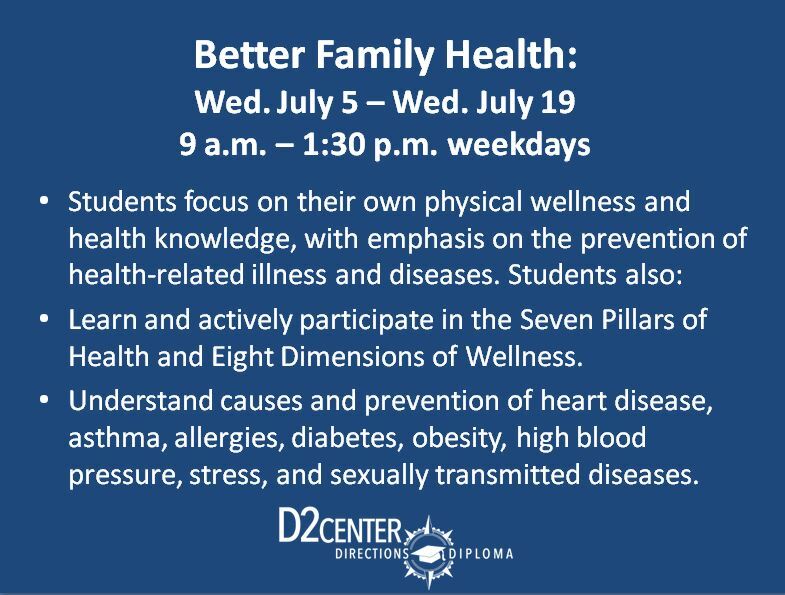 Research, study and complete assignments to understand causes and prevention of heart disease, asthma, allergies, diabetes, obesity, high blood pressure, stress, and sexually transmitted diseases.